The Washington State Department of Labor and Industries’ (L&I) Mobile Inspection app displays downloaded or searched inspection locations (green), as well as the inspector’s starting point (purple). The Washington State Department of Labor and Industries (L&I) is responsible for ensuring and maintaining the safety, health, and security of workers all over Washington. The department assists employers in meeting health and safety standards and inspects workplaces when notified of hazards or potential dangers. With 19 offices throughout the state, the department employs approximately 2,800 people—including safety inspectors, claims specialists, nurses, researchers, accountants, labor experts, and support staff. Anytime a resident or business in Washington installs electrical equipment or makes an upgrade to an electrical system, the local municipality or L&I must inspect it. The department’s 200 inspectors perform nearly 200,000 electrical inspections each year. In an ongoing effort to develop more efficient inspection workflows, L&I decided to have its electrical inspectors create their own customized travel routes. 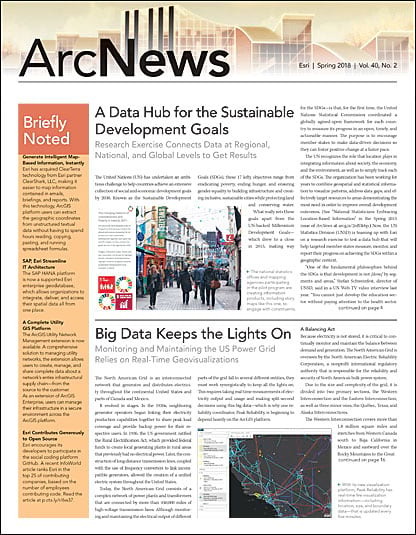 Navigator for ArcGIS became the centerpiece of this project because of its ability to route multiple stops and recalculate a route if something changes. McKenna and his team developed an ArcGIS platform-based solution that incorporates geocoding, routing, and custom basemaps. Now, when someone submits an application for inspection through the department’s website, the application is added to a SQL database and the address is geocoded. Electrical supervisors can then see the geocoded addresses displayed on their workstations, which they use to assign inspection locations to each inspector. 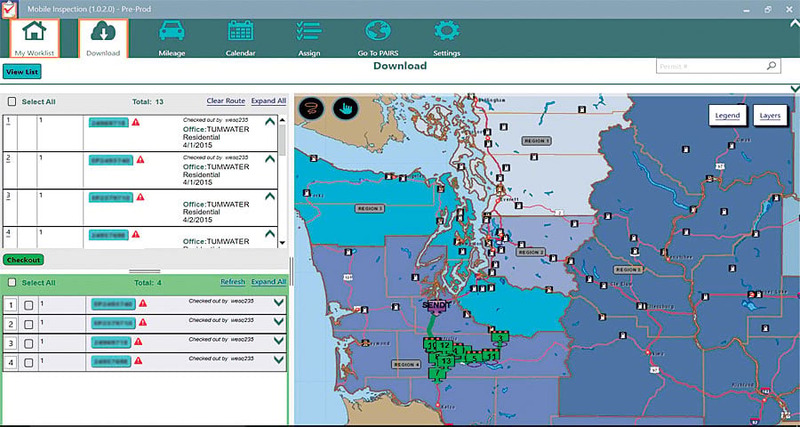 Once the inspectors see their assignments pop up on their laptops, they can create an optimized route for their day using a custom app that employs the ArcGIS Network Analyst extension and StreetMap Premium for ArcGIS, both in ArcGIS Enterprise. When their routes are planned, the inspectors save them as web links and then connect their department-issued iPhones to the planned route using Navigator. Inspectors use Navigator on their iPhones to receive audible, turn-by-turn directions as they drive to each inspection stop. A custom L&I basemap enables managers and inspectors to add, maintain, and update any information along inspectors’ routes—such as rural or forest roads, fuel stations, department offices, and regional boundaries. The team also created a map package that allows inspectors to use Navigator while offline in places with limited or no connectivity. With Navigator now part of its daily operations, the department has a consistent view of its authoritative data on a navigation map that its users can customize and configure. It is easy to create and share efficient route plans, and L&I has facilitated clearer communication between managers in the office and inspectors in the field. What’s more, the department saves time and money because inspectors now drive fewer miles by sequencing stops in the most logical order and taking the surest route to their inspections. For more information on how the Washington State Department of Labor and Industries implemented Navigator into its daily workflows, email McKenna at winston.mckenna@lni.wa.gov.